Get daily The Hindu latest current affairs and news headlines from The Tutors Academy. 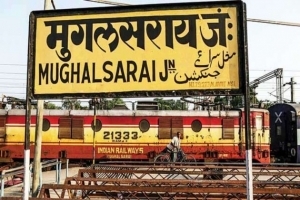 The Mughalsarai Junction will be formally renamed after Deen Dayal Upadhyay on August 5, 2018. 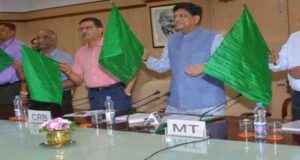 The station is also the birth place of former Prime Minister Lal Bahadur Shastri. Delhi CM Arvin Kejriwal inaugurated gridconnected 506 KW­rooftop solar plants in seven cooperative group housing societies in Dwarka. All that time teens spend glued to their phones may be aﬀecting their brain and leading to symptoms of what is called the Attention Deﬁcit Hyperactivity Disorder (ADHD). A recent research published in the Journal of the American Medical Association (JAMA) revealed frequent digital media use appeared to increase the risk of having symptoms of ADHD by about 10%. At least 13 pulmonologists and chest physicians from six cities including New Delhi, Mumbai, Chennai, Hyderabad, Coimbatore and Bangalore have urged the Environment Minister Harsh Vardhan to implement the emission standards from coal plants without any further delay. Study daily The Hindu latest current affairs and news headlines, to crack all competitive exmas easily with us. A panel recommended formation of a Legislative Council in Odisha. Chief Minister of Orissa Naveen Patnaik on August 4, 2018 inaugurated the State’s ﬁrst ‘skill museum’ at the Industrial Trainig Institute. The museum will run under the auspices of the Odisha Skills Development Authority. Golden Chariot – Karnataka’s luxury train, the Golden Chariot, is gearing up to chug into more proﬁtable times. Ahead of its operational season, the Karnataka State Tourism Development Corporation (KSTDC) has charted new plans for south India’s only luxury train, including outsourcing ticket sales. Operational between October and March, the train also has shorter trips during the Dasara season. The train’s two tours are Pride of South and Southern Splendour. Sai Satish, senior interventional cardiologist, Apollo Hospitals performed the procedure. In TAVI, a thin, ﬂexible tube (catheter) housing the collapsed valve is inserted most commonly through an artery in the leg (transfemoral approach) and delivered to the heart. Similar to coronary artery stenting methods, the procedure is performed in a cardiac cath lab. Get The Hindu latest current affairs and news updates in English, To crack all competitive exams easily with The Tutors Academy. India said on August 4, 2018 that delayed higher tariﬀs against some goods imported from the U.S. would go into force on September 18. India, the world’s biggest buyer of U.S. almonds, in June decided to raise import duties on the commodity by 20%, joining the EU and China in retaliating against Mr. Trump’s tariﬀ hikes on steel and aluminium. It had also planned to impose a 120% duty on the import of walnuts. The Defence Ministry has directed that eﬀective July 30, military personnel and civilian counterparts working together in the service headquarters will revert to their earlier cadre designations. Local designations assigned to both service oﬃcers and civilian oﬃcers in Service HQs is hereby withdrawn. Both service and civilian oﬃcers will use their respective cadre designations only. Ayushman Bharat – Ayushman Bharat is a health protection programme of cenral government. The scheme will provide a health insurance cover of up to ₹5 lakh per family and will cover over 10 crore poor families. External Aﬀairs Minister Sushma Swaraj held talks with her Kyrgyzstan counterpart, Erlan Abdyldaev, on August 4, 2018 on deepening cooperation in the ﬁelds of trade and investment, defence and security, IT, health, HRD, tourism and joint ﬁlm production. Award­winning writer S. Hareesh withdrew his debut novel, Meesha (Moustache), barely into its third instalment in the Mathrubhumi weekly. 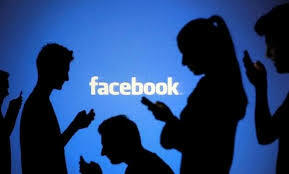 (Study daily The Hindu latest current affairs and news updates). At 43, Mr. Hareesh works as a village assistant at Kaipuzha near his native place Neendoor in central Kerala. Aeden, a recent ﬁlm, was based on three stories by Mr. Hareesh from Adam. A more popular story, Maoist, is set to get a visual language in director Lijo Jose Pellissery’s newly announced ﬁlm Jallikkattu. The Kailasa temple – The construction of the temple began during the rule of the Rashtrakuta king, Dantidurga (735757 AD). A group of skilled artisans cut and carved the vertical face of the basalt rock of a hill in Elapura, known today as Ellora, near Aurangabad. Unlike the Buddhists who made carvings inside the rock to construct cave temples, this group cut the rock internally and externally, with exquisite precision, to build a monolithic rock temple. 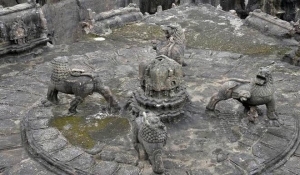 The result is the magniﬁcent Kailasa temple, one of the largest rock­cut temples in the world. Major work on the temple was done by King Dantidurga’s successor, Krishna I (757­773 AD), although work continued under many successive kings for more than a century. There are 32 caves in Ellora, numbered according to their age. Temples 1 to 12 in the southern side are the Buddhist caves. Temples 13 to 29 are the Hindu caves, and in the northern side are the Jain temples. Researchers at the Indian Institute of Science Education and Research (IISER) Bhopal have found that depleting the production of a speciﬁc protein kinase (p21activated kinase 2 or PAK2), which is normally produced in excess in head and neck cancer, aﬀects a chain of events that ﬁnally reduces the growth of head and neck cancer. When the production of this protein was reduced in three head and neck cancer cell lines, the cancer cells became less viable and had reduced ability to proliferate, migrate, form colony and even resist cancer drugs. Researchers hypothesised that the beta­catenin signalling might be dependent on PAK2 protein level and inhibiting the pathway will affect the expression of a well known cancer gene c­Myc,” he says. The c­Myc gene is produced in excess in head and neck cancer and is responsible for cancer cell growth. In a cascade of events, the reduced expression of the cancer gene causes a reduction in the amount of cancer­speciﬁc metabolic enzyme PKM2 produced. FOXP2 is one of the most famous genes to be discovered because of its role in language. It is highly expressed during brain development and regulates some muscle movements, aiding in language production. Though found in all animals, a slight change in the composition of the gene in humans makes it possible for us to have speech. Those with a malfunctioning FOXP2 have been found to have severe speech defects. FOXP2 has also been shown to regulate language­like behaviours in mice and songbirds. Increased prevalence of mcr­1 gene that confers multidrug­resistance has now been reported in Klebsiella pneumoniae bacteria, increasing the fear of infection by pan drug­resistant bugs. The mcr­1 gene is usually found in the plasmid (small DNA in the cytoplasm) and the resistance gene is transmitted among diﬀerent species. Previous research has shown that a molecule named DOCK2 is critical for proper activation and migration of immune cells. In this study, the researchers found that a modiﬁed form of cholesterol called cholesterol sulfate, or CS, inhibited DOCK2 and blocked the migratory capabilities of isolated immune cells. Mice lacking an enzyme necessary for synthesising CS experienced more severe eye inﬂammation in response to ultraviolet light and pollen. In Africa, progress can be seen across the board, but is it sustainable? The continent is, in fact, a powder keg, says an international aﬀairs expert who has followed developments in Africa. “The powder is demographics and unemployment the detonator,” he writes. Among issues he lists are stagnating agriculture, rural misery, ethnic and religious fault lines and regional instability. Brothers of the Gun: A Memoir of the Syrian War, with beautiful illustrations by American writerartist Molly Crabapple, is the autobiography of the city which had been the de facto capital of the Islamic State for almost four years. Crack all exams NDA, CDS, Navy, and AirForce in one attempt with The Tutors Academy, a place where you can do the best preparation for exams.